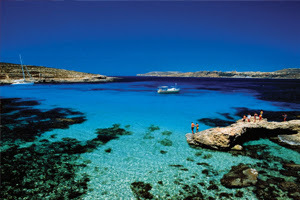 UK Travel Weekly, 27/09/2013: The Mediterrenean island of Malta has been chosen to host the 2014 Institute of Travel and Tourism conference, it was announced last night. Guests at the ITT's annual president's dinner held at The Dorchester hotel were told the news by the institute's chairman and chief executive Steven Freudmann. He said bokings open today for the event that will take place on June 2 to 4. Malta has become a popular choice for overseas UK travel industry conferences in recent years, Abta and Advantage Travel Centres having opted for the destination and Aito due to hold its winter conference there later this year. Alex Incorvaja, UK director of the Malta Tourism Authority, said: "We are delighted in securing what is one of the most prestigious events in the travel calendar for the UK trade. "Malta continues with its drive to position itself within a very important channel of business - the UK market. Over the past four years, we have hosted Abta's Travel Convention in 2010, the Advantage Travel Centres' conference in 2011 and now the ITT conference in 2014, which just shows our...read on.